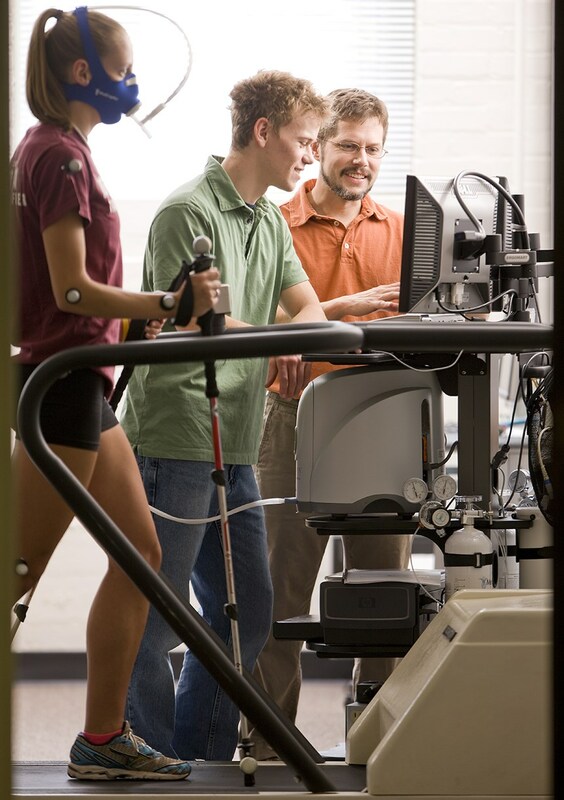 Studying health and exercise science will provide you with a solid understanding of human physiology, human movement and the role exercise plays in human health. Building a foundation based on scientific inquiry and critical thinking will train you to improve the health of others. Through the collection of observation, lab and field data, you'll assess and analyze multiple levels of fitness metrics, with dynamic and state-of-the-art technology. 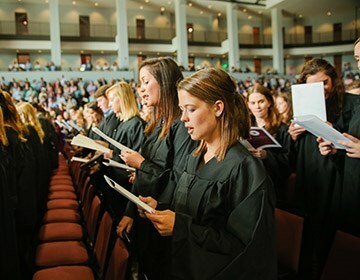 In concert with courses in human physiology, movement science and fitness/wellness, you'll be encouraged to pursue research and internship experiences in kinesiology, exercise science or the rehabilitation sciences, and participate in projects that are presented at regional and national conferences. 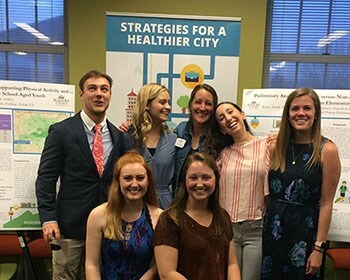 Internship options are also available on and off campus at a variety of work sites, community health organizations, and fitness, clinical and rehabilitative facilities. By studying health and exercise science, you'll be equipped with the knowledge and experience to pursue graduate study or a variety of careers related to fitness instruction, personal training, strength conditioning and rehabilitation. 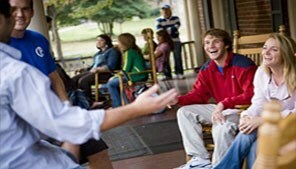 We offer a major in health and exercise science. 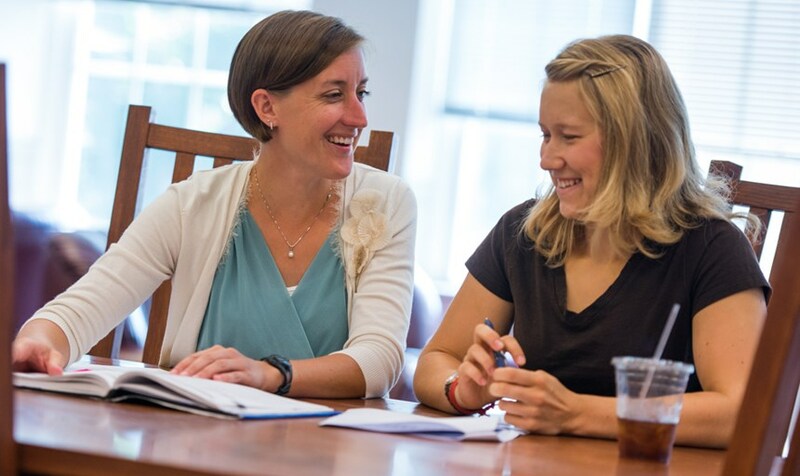 During the summer of her sophomore year, Caroline Mueller '15 worked with Dr. Elizabeth Ackley to study the efficacy of a school running program for visually impaired students at the Virginia School for the Deaf and Blind. Mueller, a health and exercise major, and an athlete herself, believed that the poor health status of the country's sensory impaired population could be mitigated by a cross country running program. Following the study, Ackley and Mueller developed a manuscript supporting their work. 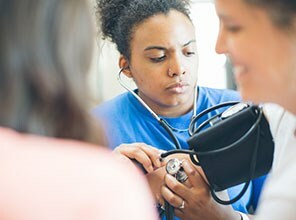 Health and exercise science can open the door to advanced study in graduate school and to careers in fitness and wellness, performance coaching, or clinical and rehabilitative specialty fields. Dr. Jim Buriak and Dr. John Creasy have been conducting research on how the amount of sleep a college athlete gets relates to anxiety and depression. Research assistant Emily Whitaker has been able to work directly with the data, take charge of tasks and become more familiar with various software. "I'm also a college athlete, so I find it really interesting to do these studies on athletes and see how it can relate to myself," Whitaker says. "It's something that I'm pretty interested in, and would consider continuing with graduate work." 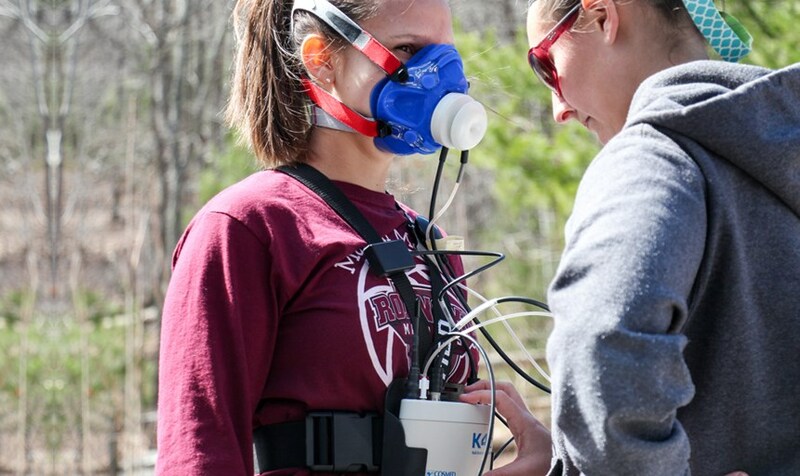 A Roanoke student uses the latest portable equipment to measure metabolic response to hiking the Appalachian Trail. 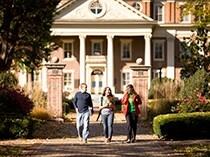 Roanoke College is the anchor institution for the project, funded by the Robert Wood Johnson Foundation. 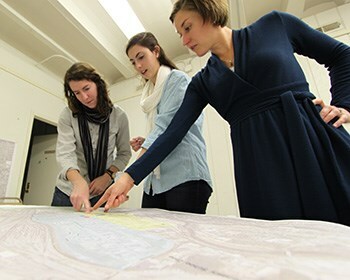 Data-gathering focused on health barriers in low-income communities. 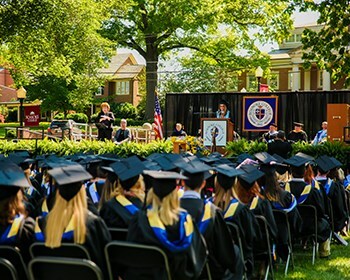 Graduate study was a given for Gabrielle Giersch '14. At Roanoke, she had the opportunity to complete an honors thesis on heart rate variability that lay the foundation for future research. Upon graduation, Giersch entered a graduate program in kinesiology at James Madison University, earning a master's degree in 2016. Now, she is pursuing a doctorate in exercise science at the University of Connecticut and working at UConn's Korey Stringer Institute, an organization dedicated to the prevention of sudden death in sports. Says Giersch, "My years at Roanoke inspired my love for learning and made me want to continue my education and get more research experiences." Shelley Olds '03 has always placed athletics near the top of her must-do list. 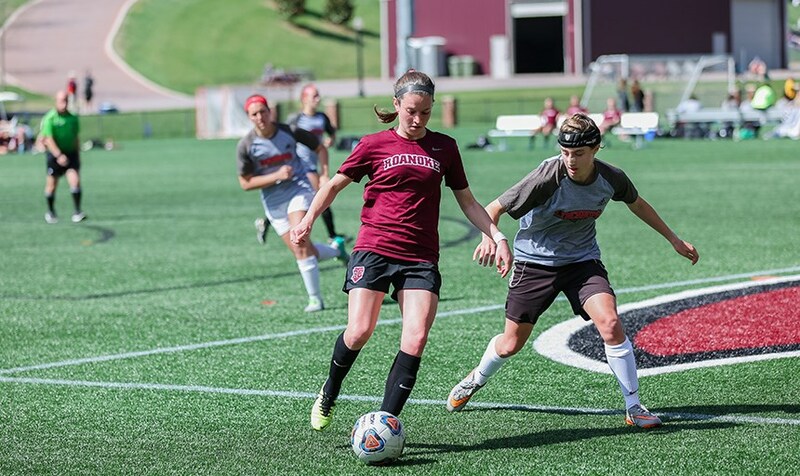 At Roanoke, the Health and Human Performance major was captain of the Women's Soccer Team. Two years after graduation, she was introduced to cycling. Since then, she has soared, becoming one of the highest-ranked women's cyclists in the world. In 2012, she reached the pinnacle, competing in the London Olympic Games as a member of the U.S. Women's Road Race team. Currently, she is a member of the Bigla Pro Cycling Team, training and competing from her home base in L'Estartit, Spain, her sights set on the 2016 Olympic Games in Brazil. "I believe I was prepared to become a professional athlete and Olympian by many of the experiences I had at Roanoke College," Olds says.